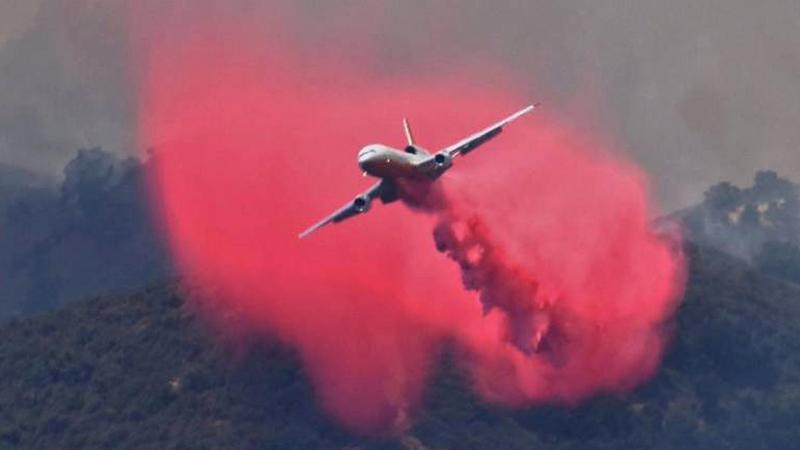 SAN LUIS OBISPO, Calif. -- The Alamo Fire has burned 23,867 acres in San Luis Obispo and Santa Barbara Counties and was 10 percent contained as of Sunday afternoon, officials said. More than 600 firefighters were battling the blaze, which began about 3:30 p.m. Thursday off Highway 166 near Twitchell Reservoir. No injuries have been reported. More than 130 structures were threatened by the flames, and evacuation orders remained in place on Sunday, a Cal Fire spokesman said. No homes or other structures have been lost. The evacuation orders affected Tepusequet Canyon from Blazing Saddle Drive to Santa Maria Mesa Road, White Rock Lane and Colson Canyon, Pine Canyon and Buckhorn Ridge. The fire, burning in steep and inaccessible terrain, was being attacked by firefighters from areas including Los Angeles and Orange counties. A "large contingent" of fire engines, bulldozers, hand crews and air resources were at the scene.